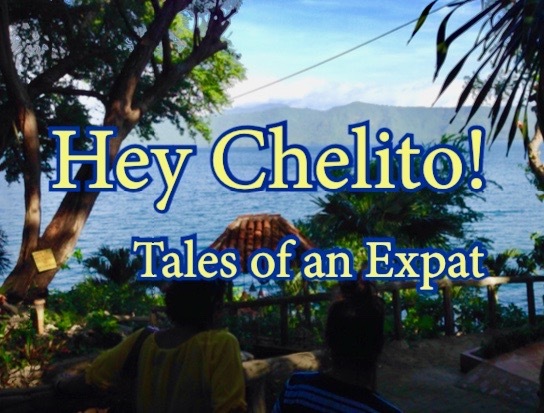 Getting A Building Permit (or Not) | Hey Chelito! Posted on July 27, 2017 By Erik @ Hey Chelito! I had received several bids for the construction project on the house that I purchased in León, Nicaragua. The project was to be completed in two phases: 1) remodel the existing structure and 2) construction of additional rooms on two floors. I wish things were so simple. There were three outliers in the bunch, one WAY too high, more expensive than the purchase price and another was significantly lower, I didn’t trust that either, you get what you pay for. And yet a third contractor assured me that he could have the job done in 6 weeks, again, I didn’t trust the timeline. I couldn’t help questioning the quality of work at that pace. Two other builders said that they would not give me a bid until I had the architectural plans. They must be the only two honest builders in León, haha. Yet two other builders that gave me bids had expired licenses and forged documents. One of them had stolen another builders license and photocopied it to use as part of the presentation packet to the Alcadía (City Hall). I had received a wide spread of pricing and timelines. I sifted through the paperwork and narrowed my choices. There were four contractors who presented me with similar bids and similar timelines of 3-4 months. The first thing I needed to do was find a competent architect who would work for a reasonable price. The head engineer at City Hall, the one in charge of issuing construction permits, had given me a list of recommended engineers, architects, and builders. I was determined to find someone off that list because everything should run smoother. The bids that I had received for architectural plans, permits, and inspections were all around US$500-US$600. One architect told me but for US$1000, he would be able to “expedite” the process. One of the builders that I was interested in hiring, told me that he would pay half of the extra fee because he wanted the job. He said that the additional moneys were going to the “appropriate people” and allow him to start working while the permit was being processed. He told me: “This is how things work here. Because your house is in a historical district your permit may take up to a year to get approved if you decided to go a more traditional route.” Luckily, I was later able to circumvent the extras fee (keep reading). For better or for worse, I have heard this exact story several times from other people who had construction done on their homes. They can’t all be wrong, can they? My builder and I waited for a week for the top engineer and his architect to show, he no-showed four times. I decided to keep looking. I reluctantly settled on another architect. When we presented the plans to the head engineer at the City Hall, she shook her head and denied them. She said that were missing vital structural points. The architect said that would fine tune them fix them. After another failed attempt, I found out that my lawyer was a personal friend of the most sought after engineer at City Hall (the same one who didn’t show four times). He was able to get him and his architect to the house for a meeting. I just wanted them to draw up a design and architectural plans that the City Hall would approve. He told he me he would do the plans and get them approved if I would allow him to do the work. I agreed to allow him to bid the job, but that I couldn’t agree to a contract until I saw the bid. This put me in a bind because I had all but signed a contract with another builder who I wanted to do the work. But with this new engineer all my problems, and the extra fee for “expediting” the process, with City Hall would go away. The new bid was similar to the others, and I felt that it was in my best interest to make this process as seamless as possible. The funny thing was, he was using exactly the same plans that were denied previously. Welcome to Nicaragua. My permit for building the wall. I signed the contract with him the next day, and the following day the workers broke ground on the remodel. I was given a “guarantee” that the I will be issued a building permit. There has been almost a month’s worth of work done, and still no permit. At this rate, the remodel will be complete before it gets issued. Really interesting – I can’t imagine what it must be like to negotiate the Nicaraguan beurocracy. Good luck, thanks for sharing. Thank you, it has been challenging but fun at the same time. It will all be worth it in the end.